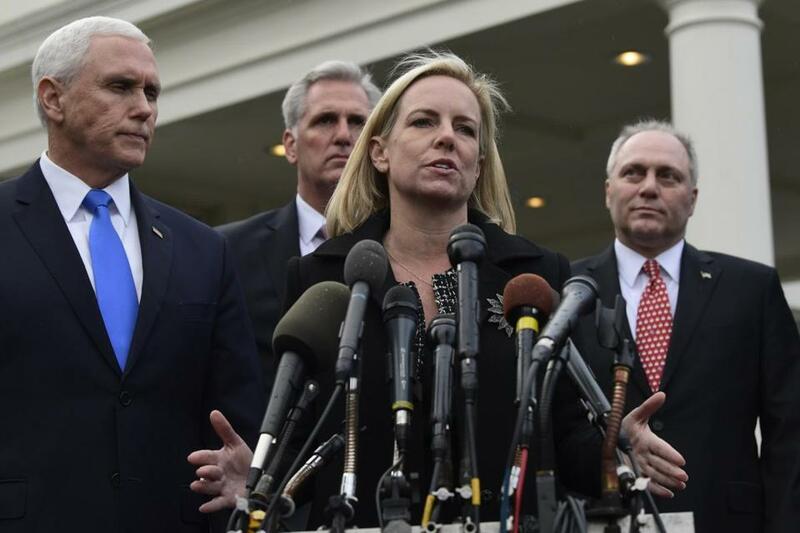 Homeland Security Secretary Kirstjen Nielsen (center) spoke to reporters after a meeting with Democratic congressional leaders and President Trump at the White House in Washhington on Jan. 9. WASHINGTON — A grand Washington ritual became a potential casualty of the partial government shutdown as House Speaker Nancy Pelosi asked President Trump to postpone his Jan. 29 State of the Union speech. She cited concerns about whether the hobbled government can provide adequate security, but Republicans cast her move as a ploy to deny Trump the stage. The shutdown threw a prime Washington ritual into question Wednesday as Nancy Pelosi asked President Trump to forgo his State of the Union speech. Trump met a bipartisan group of lawmakers Wednesday that included seven Democrats. Two people who attended the White House meeting agreed it was ‘‘productive,’’ but could not say to what extent Trump was listening or moved by the conversation. The people, who spoke on condition of anonymity to discuss the event candidly, said it seemed at some points as if people were talking past each other. Lawmakers talked about the shutdown’s effect on their constituents and advocated for ‘‘border security.’’ Trump and others on-and-off used the term ‘‘wall.’’ It was not clear if progress had been made, by those accounts. While Sen. Susan Collins, R-Maine, said she has signed, others said GOP support was lacking. 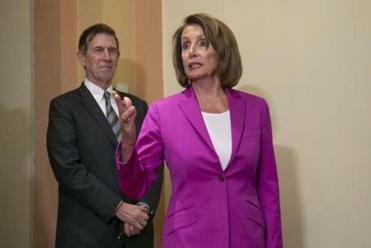 ‘‘They’re a little short on the R side,’’ said Sen. Joe Manchin, D-W.Va., another leader of the effort.